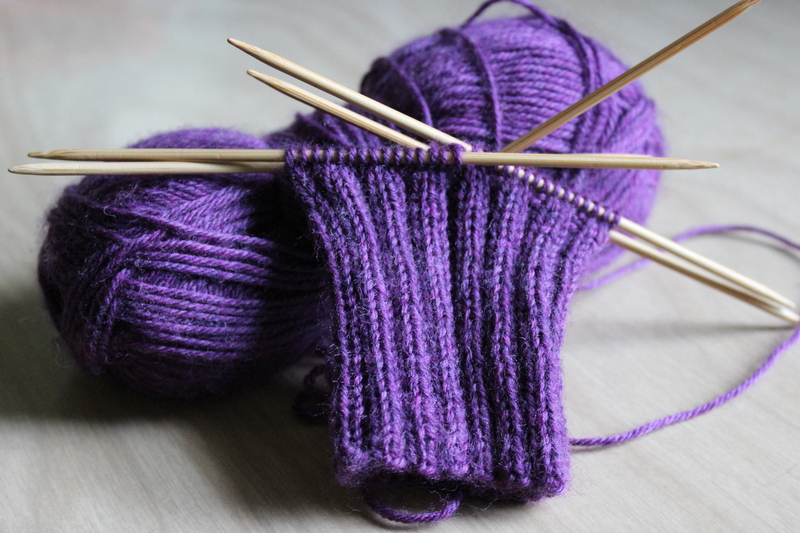 I’m always sharing everything that’s on my needles (or in the case of the Cursed Sweater, I’m sharing what’s on my needles, then off my needles, then on my needles, then off my needles…). It’s something that I like doing, obviously, or I wouldn’t keep writing this blog. I love sharing my ideas, and my projects. I love commiserating with you guys when something goes horribly wrong, and I love celebrating when something turns out better than I expected. But, I never get to see what you’re all are working on! So, I was thinking it would be fun to start a monthly (or so) post series, about what you guys are working on! 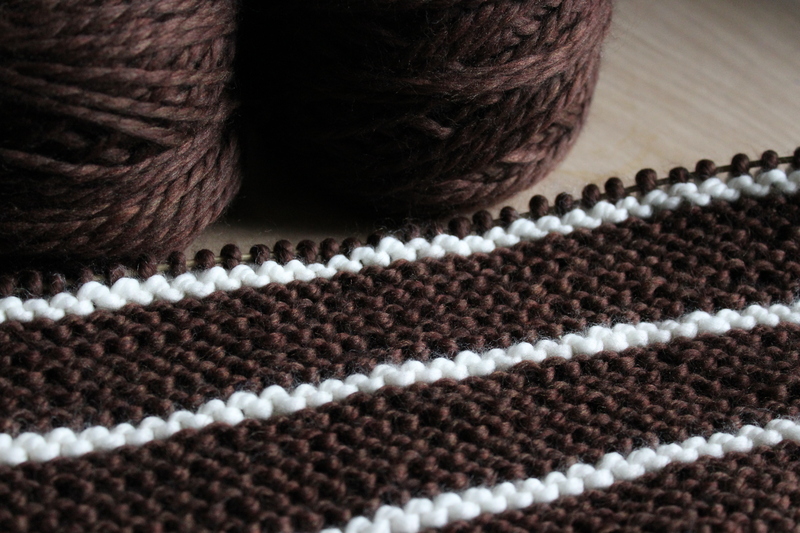 I’d love to see your WIPs and FOs, and I bet you’d like to see each other’s projects, too! Interested? Awesome! Send me an email (knittingontheneedles@gmail.com) with a picture and description of something you’re working on, or something you’ve just finished and you’re particularly proud of! (Or, you can tweet at me @on_the_needles, or leave a message in the comments section, if email isn’t your jam.) And, of course, your project doesn’t have to be knitting- Are you halfway through a big cross stitch project? Have you just started a crochet afghan? Did you just put the finishing touches on a particularly elaborate sewing project? I’m sure you’re all crazy-creative, and I can’t wait to see your creations! This entry was posted in About the Blog and tagged call for submissions, fo, fos, knitting, On the needles, on your needles, wip, wips on May 19, 2017 by onemilljellybeans. 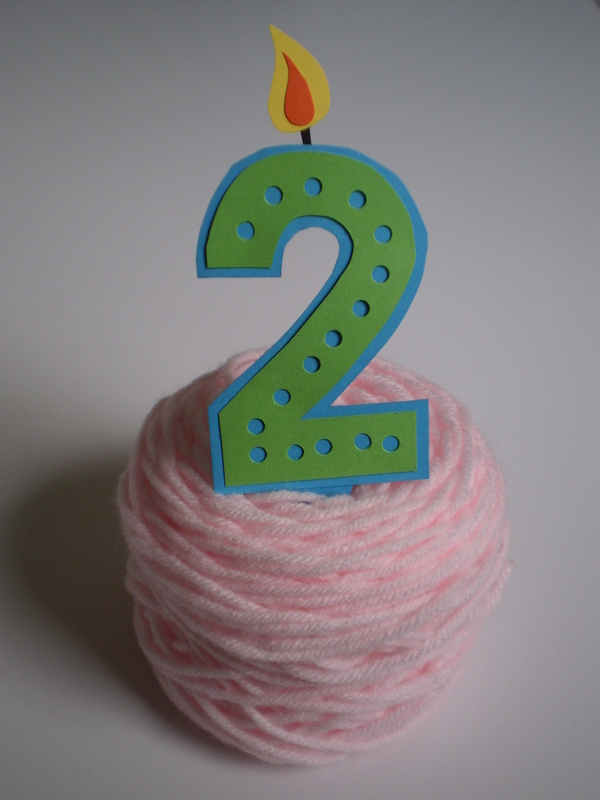 Happy Birthday to On the Needles! 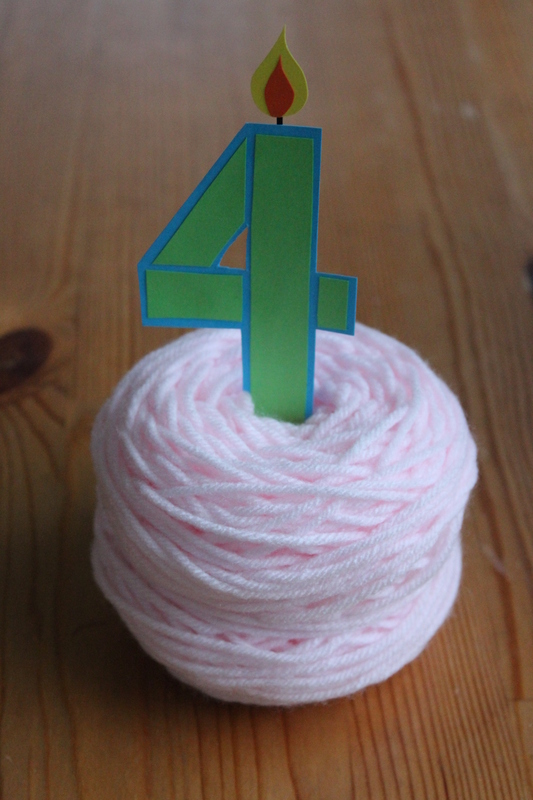 On the Needles is 4 years old! It’s potty-trained, running around, and getting ready for pre-school. It’s probably learning its letters and is getting the hang of drawing. Or whatever 4-year-olds do. I’m not an expert in 4-year-olds. But, It’s exciting! I’ve been at this way, way, waaaaaay longer than I expected to be when I started this back on 2013. I’ve written more patterns, and met more people than I planned. I’ve even turned this whole knitting/pattern-writing thing into an actual part-time job, which I never thought I could do. It’s been fun, working on my writing skills and my knitting skills. I love sharing the projects I’m working on, and I especially love sharing my patterns. I love teaching you guys techniques and skills that I use every day (and I hope you like that, too!). I’ve even enjoyed learning how to take not-terrible pictures (sorry about today’s, though- it’s crazy foggy here, it’s almost 10, and I’ve still got all the lights on inside the house). I’m going to keep going as long as I can still think about things to talk about. I hope you’ll be willing to come along with me. And, of course, please let me know if you have questions about anything, suggestions or ideas- I’m only one person with one brain, and sometimes it gets a little empty, so help is always appreciated. Here’s to another 4 years! 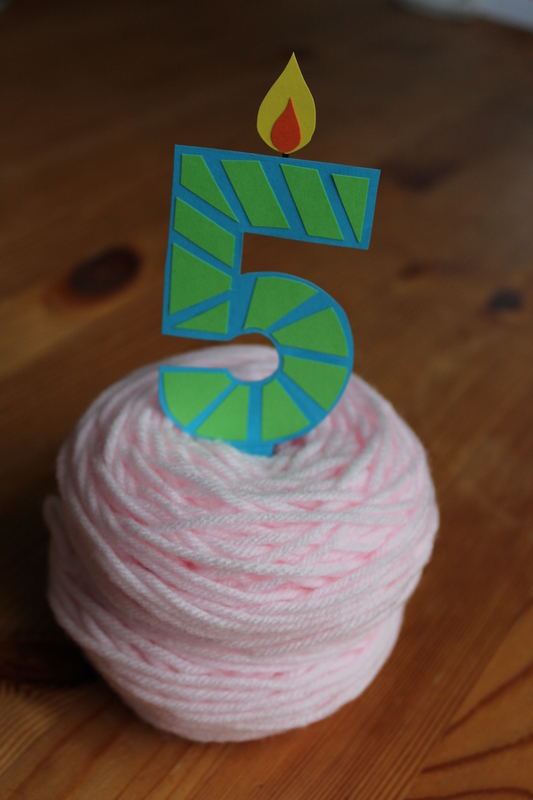 This entry was posted in About the Blog and tagged anniversary, four year anniversary, four years, On the needles on February 15, 2017 by onemilljellybeans. We’re in the home stretch, folks! So, today, I’m highlighting a few (FREE!) patterns for last-minute gifts from yours truly. If you’ve got a week until Christmas, think about knitting up a Lazy Susan Beanie. Worked in the round with worsted-weight yarn, this little hat goes super quickly. And, the clever spiral stripe technique creates jog-less joins with virtually no effort. 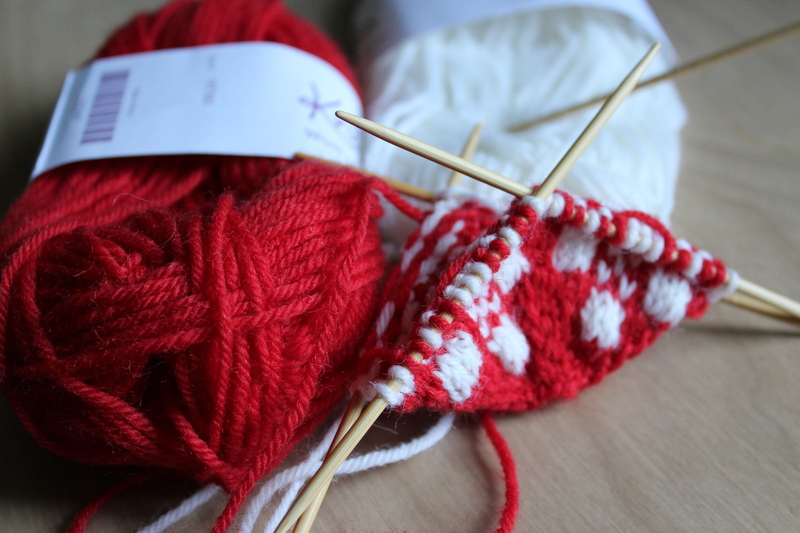 Try knitting one up in your nephew’s favorite colors, or your cousin’s school colors. Oh no! You’ve only got a half hour? Well, then you’ve got to break out your scrap yarn, glue and toothpicks and make yourself a WIP Ornament. 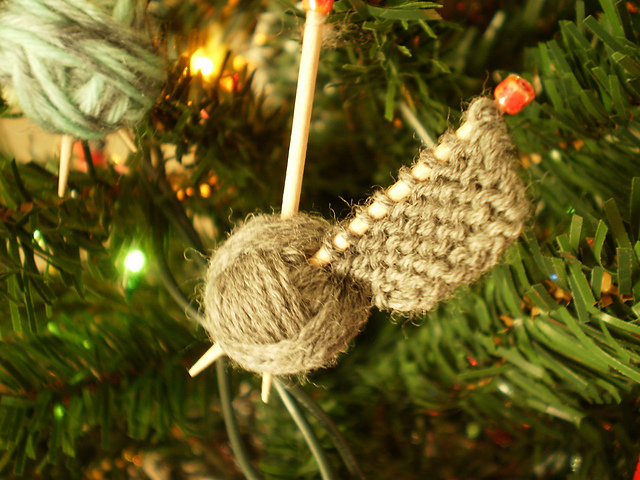 With a total of only about 50 stitches, these ornaments knit up in literally no time. And they’re so cute! What is your go-to last-minute gift pattern? This entry was posted in Inspiration and tagged christmas, christmas gifts, coffee cozy, gifts, hat, last minute, last-minute gifts, On the needles, ornament, pattern, patterns on December 18, 2015 by onemilljellybeans. It’s been fun, you guys. I really didn’t expect this blog to go very far, and two years later, I’m still writing it three times a week (I think I’ve only missed one day, but I’m not even sure about that), and I’m getting hundreds of visitors every day. It’s kind of amazing. I’m actually turning this whole knitting thing into a semi-legitimate job, too, which is something I didn’t expect, even in my wildest dreams. I never thought I would do anything knitting-related in my professional life, yet here I am. How awesome is that? And, you guys, I have so much more awesome stuff coming up, you don’t even know! I can’t say what it is yet, but you should totally be sure to come back on Wednesday. I have a really exciting announcement and a super cool giveaway! (I know, right? A real, actual giveaway!) You’re totally going to want to get in on this. So, keep reading, and I’ll keep writing, and together, we’ll keep knitting. 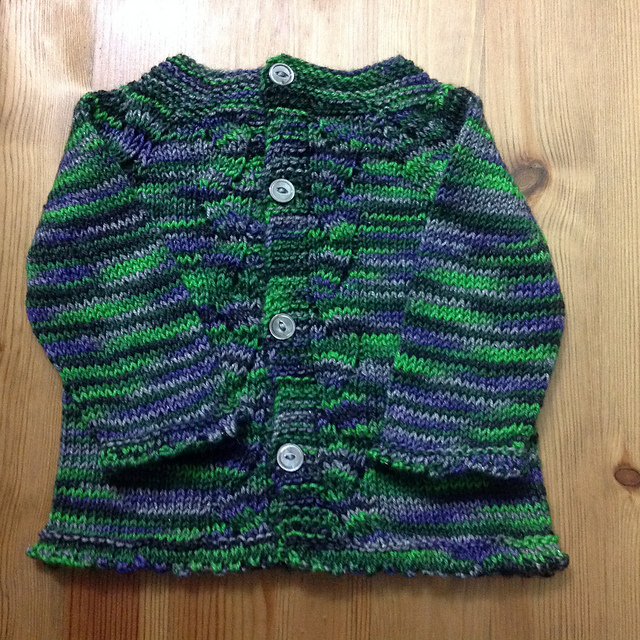 This entry was posted in About the Blog and tagged 2, 2 year anniversary, 2 years, anniversary, blog, On the needles, year on February 13, 2015 by onemilljellybeans. Holy moly, you guys! When I started this blog (almost) two years ago, I never really thought it would take off. I might get a couple readers, but mostly I thought I’d be just yelling out into the void of the internet. 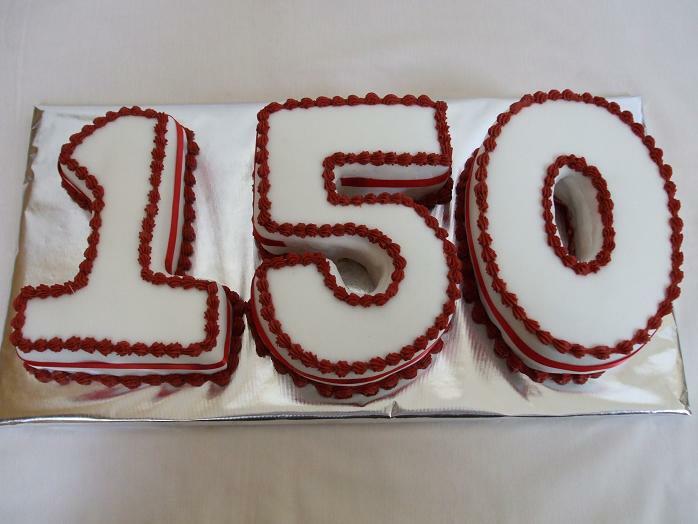 But, now I just saw that I got my 150th follower! I just wanted to say “Thank you” to all of you for reading my ramblings, even when they veer into the incoherent. 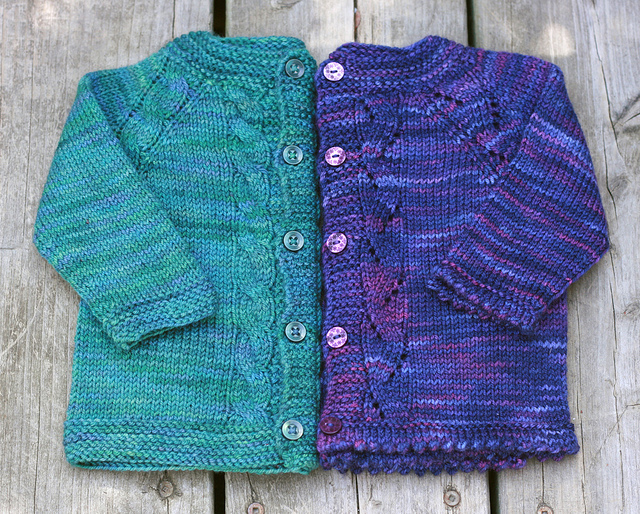 I love reading your responses to my posts, and seeing your projects on Ravelry. 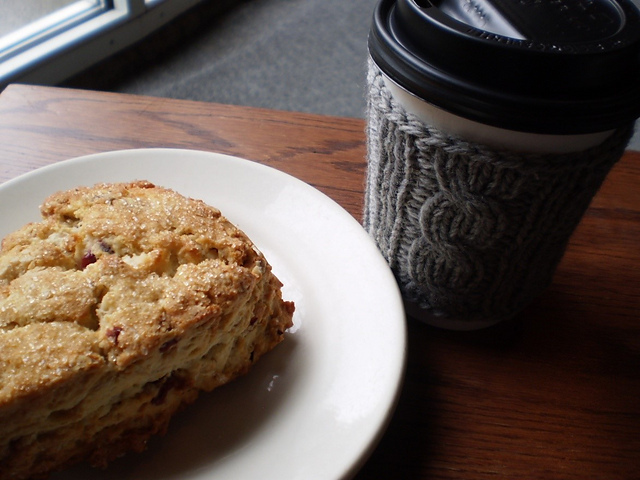 This entry was posted in About the Blog and tagged 150, 150 followers, followers, On the needles, readers, thanks on December 15, 2014 by onemilljellybeans. It’s that time again! Time for me to be a nosey so-and-so, and for you to tell me what you’re working on. But fair is fair, so here’s what I’ve been working on. I’m on a bit of a sock kick these days. I just finished blocking a pair of socks (made with KnitPick’s Stroll in Tree Fort). I absolutely love the colorway when it is in a ball, but I don’t love how it knit up. I definitely picked the wrong pattern for variegated yarn. 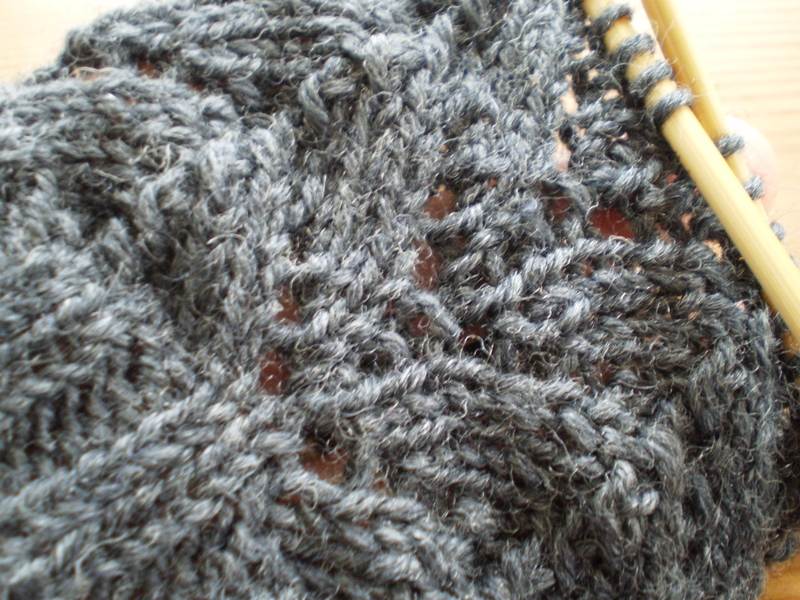 It’s all weird and pool-y, and the shell texture I knit in isn’t really visible when they’re worn. Oh well. At least they’re warm and cozy. And, yesterday I cast on for a belated birthday gift for my friend Shirley. She wanted slipper-socks in grey. Ask and ye shall receive! These are knitting up thick and super-cozy looking with Patons Classic Wool DK Superwash in Dark Gray Heather on size 5 needles. It’s weird, knitting socks for someone with little feet at such a big gauge. My typical socks use 60 stitches, but these only use 40. I’m flying through! I’ve shown you mine, so now you show me yours! What do you have on your needles? Send me a photo, and I’ll put it up on the blog next week! This entry was posted in About the Blog and tagged finished projects, On the needles, pooling, slipper, socks, wip, works in progress on March 7, 2014 by onemilljellybeans.